Dear Confused Ballerina in Happy Valley: Of course racists aren’t racists, and how dare you allege that! They’re just saying the truth! Racists can’t possibly be racists because they have colored friends—and those minorities not only agree with their nonracist amigos, they’re even more non-racist against their own kind and that makes it even more OK to be truthful! Know Nothings have long used this twisted logic to argue that their rants are right (witness those lunatics who say Arizona’s reprehensible SB1070 and Most-Corrupt-Sheriff-in-America Joe Arpayaso enjoy support from “Hispanics,” and that the two are therefore not anti-Mexican) in an attempt to shut up opponents—I do believe that logical fallacy is called appeal to authority. Or is it honor by association? I forget. Anyhoo, %uFFFDA LA CHINGADA CON ARPAYASO Y SB 1070! Dear Gabacho: Simple capitalism, compa. Houston has no municipal zoning code, which creates a libertarian paradise of businessmen opening nearly whatever they want nearly wherever they want according to the peculiarities of the market. Since Houston’s East End hosts some of the city’s traditional barrios, it follows that negocios catering to a working-class clientele would flourish here and in other barrios: segundas (thrift stores), laundromats, water stores, taquerías, fake documents sold from a cell-phone accessories storefront, and used tire shops. 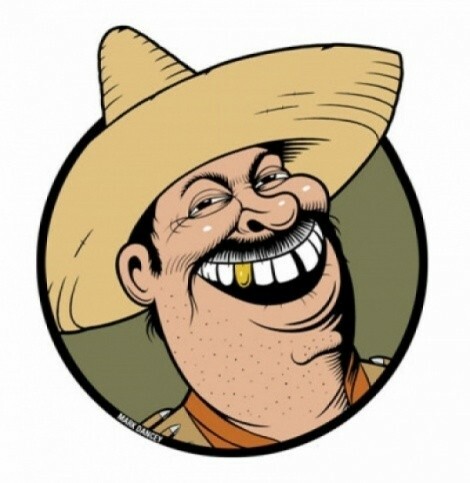 It’s not that Mexicans won’t buy new tires, or even that we can’t afford it: it’s that we’re always looking to save dinero, and the opportunity to get a discount is as irresistible to a Mexican as crossing the border without papers. And please don’t think we’re putting the public at risk, gabachos: no one knows more about the gradations of a balding tire than a Mexican dad or tío.